Colliers International, Tampa Bay – Although 1st quarter’s activity was mostly consistent with the previous quarter’s results, a notable difference was the quicker speed at which transactions were closing, indicating increased confidence and a sense of urgency among tenants and investors as they make real estate decisions. Overall economic expansion and strong regional job growth played a major role in a healthy Tampa Bay industrial market. Construction, manufacturing, and packaging firms all experienced continued expansion as a result of the improving housing market and the recent opening of two major eCommerce distribution centers in the area. Developers are now pursuing industrial land sites for future development and landowners are anticipating better prospects for new development in the coming year. – In Tampa Bay’s largest industrial sale of the first quarter, Avistone Gateway, LLC, purchased a 165,922-square-foot flex property, located at 3340 Scherer Drive in St. Petersburg, from Carlyle/Meridian Pinellas, L.P. for $11,525,000. – In the largest lease transaction of the first quarter, PECO Pallet signed a 105,293-square-foot industrial lease in Regions Court in Lakeland, near one of the area’s new Amazon distribution centers. Overall, a net of more than 1.02 million square feet was absorbed by Tampa Bay’s industrial market during the first quarter. This resulted in a drop in vacancy from 8.6% to 8%. The Polk County submarket was extremely active. In fact, it experienced the greatest net absorption of any submarket during the quarter, with more than 700,000 square feet absorbed. The North Pinellas County submarket also reported a high degree of activity and the lowest vacancy in the region, at 4%. Despite the Airport submarket generating robust interest from tenants and the fact that space is at a premium, the submarket reported negative net absorption during the first quarter. The East Tampa submarket has mid-sized spaces from 20,000 to 80,000 square feet available, but interest remained tepid. total cost of occupancy and total cost of ownership rises as well, which will impact sale and lease pricing for these buildings over time. While Tampa Bay’s industrial market remains a tenant’s market, all signs point to a transition toward a landlord’s market in coming quarters. There was a marked uptick in small user activity, which was reflective of the strengthening local economy, increased bank lending for small businesses, and tenant confidence. Buildings smaller than 20,000 square feet were in high demand both for lease and sale. Similarly, large tenants were very active in the first quarter, primarily in Polk County. 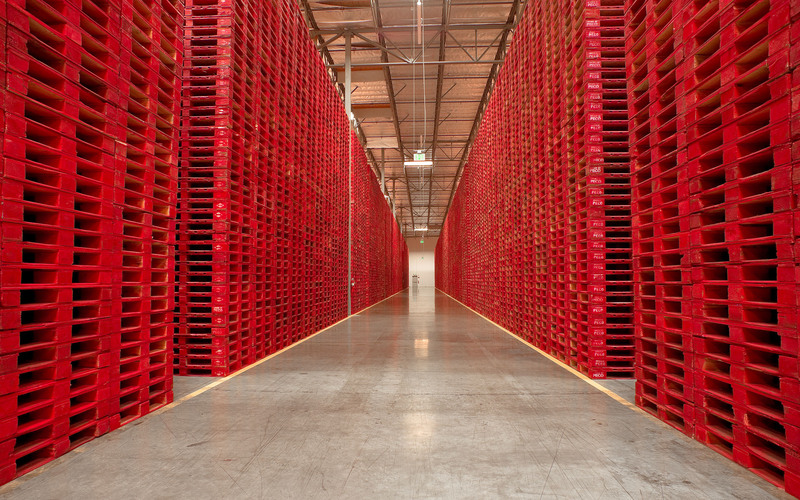 Industrial buildings with more than 80,000 square feet were in demand for both lease and sale. Meanwhile, the flex market in Hillsborough County, which gained momentum at the end of 2014, reported little activity during the first quarter. But the flex market in Pinellas County, which has greater availability for smaller users, reported increased activity. During the first quarter, a trend for industrial tenants in Tampa Bay was in upgrading, in terms of functionality, building quality and location. Although the region is in a positive economic environment for tenants, few are signing new industrial leases for larger space. Technological advances are allowing small manufacturers and distributors to operate more efficiently, with smaller equipment that requires less space to operate. Overall, the average asking rental rates on industrial leases in Tampa Bay increased to $4.33 per square foot from $4.28 the prior quarter. The average asking rental rate for flex space also rose, to $8.03 up from $7.62 per square foot. Market concessions remained consistent with the previous quarter, with many landlords offering less than one month of free rent per year of the lease (outside of the lease term). In addition, tenant improvement allowances continued to decline minimally. Investment demand for industrial space continued to be very high during the first quarter; however, as has been the case for some time, there was very little quality product available on the market. Distressed industrial sales in Tampa Bay are virtually at a point of being non-existent. However, several lenders are soon expected to take back industrial properties that have been in limbo for some time, so experts predict a small uptick in financially distressed assets being brought to the market in the coming quarters. 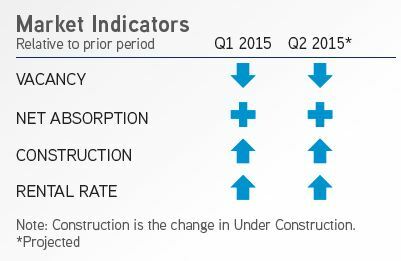 During the first quarter, 281,000 square feet of industrial construction was underway in Tampa Bay. Aspyre Properties was nearing completion of a 175,000-square-foot industrial spec building at Interstate Commerce Park in Lakeland. In addition, Ridge Partners is developing a 240,000-square-foot industrial building with plans for two additional future 240,000-square-foot buildings at Wabash and Memorial Drive off Interstate 4.